Should tech companies warn consumers that their products could be addictive? How many times per day do you check your phone? Chances are, a lot. According to Time magazine, a recent study found Americans reach for their smartphones an average of 46 times per day, though ABC News reported a few years ago that the figure could be even higher—up to an average of 150 times per day. Given the near-constant ping of notifications on phone screens throughout the day, it may not even seem all that hard to reach that 150-times-a-day average, which, some in the technology field have said, is exactly the point. In an interview with The New York Times, former Instagram software engineer Greg Hochmuth noted, "The same design qualities that make an app enthralling…may also make it difficult for people to put down." 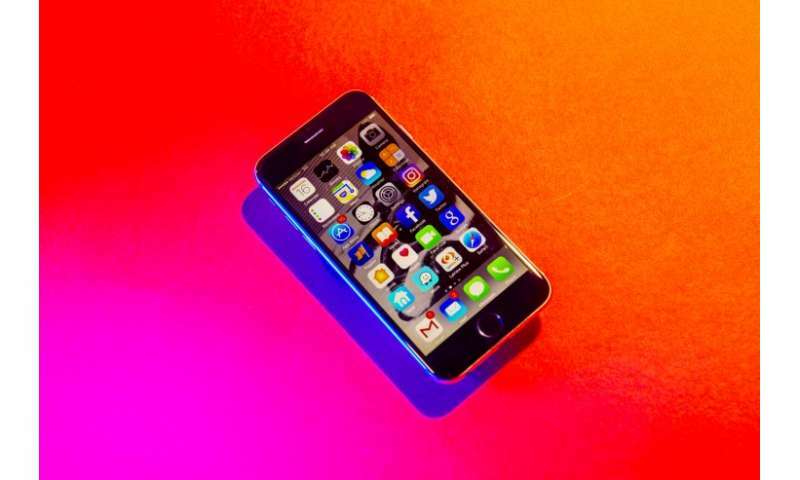 In other words, "That itch to glance at our phone is a natural reaction to apps and websites engineered to get us scrolling as frequently as possible," The Atlantic writes. So as we spend more and more of our time online, do technology companies have an ethical obligation to redesign their products to make them less addictive, or warn users of possible addiction? We asked John Basl, assistant professor of philosophy in the College of Social Sciences and Humanities, to weigh in. Tech companies, especially app developers, largely rely on consumers to repeatedly come back to their products. Do you think these companies have an ethical obligation to make their products less addictive? Or an obligation to warn of the collateral damage their products may cause in people's lives? I think that if it is established that a technology—be it a website, a social network, a video game, or a piece of hardware—has properties that cause addiction, then the company that produces it has an ethical obligation, at least, to warn consumers about these effects. But while companies might have an ethical obligation to warn consumers about these risks or even to mitigate the risks themselves, it doesn't follow from that alone that we should legally mandate or otherwise coerce compliance with these obligations. What about an obligation to make technology less addictive? This, I think, is a bit more complicated. On the one hand, we often think we should respect the choices of individuals when those choices do not have substantial consequences for others. On the other hand, children have access to these technologies and having such access could have lasting effects. So, here I think a lot hangs on how addictive these technologies are, what expectations companies have or should be expected to have about who will have access to their technologies and at what stage of their development, and many other facts. But, I don't think it is beyond the pale, depending on the answers to those questions, to think that companies might have an ethical obligation to reduce the addictive properties of these technologies. In a recent article in The Atlantic, Silicon Valley veteran Josh Elman compares the tech industry to "Big Tobacco before the link between cigarettes and cancer was established." Do you think that's a fair comparison? There are ways in which it is a fair comparison and ways in which it is not. Elman's point is, I think, that both industries were keen to take advantage of the benefits of their technology, to provide users with what they want, while at the same time operating with the knowledge that their technology had negative impacts. In both cases, those benefiting from the popularity of their products might have been better informed about the potential costs than their consumers, and that can be problematic. But there are many ways in which the cases are not alike. In one sense, the potential negative impact of internet technologies could be worse than tobacco use. There are already concerns that the algorithms used by, for example, Facebook, might cause further political polarization, helping all of us to remain in information bubbles. Those consequences are, at least potentially, as bad or worse that the significant costs associated with smoking. At the same time, there are benefits of internet technologies that far outstrip the benefits of tobacco. The internet has opened up new avenues for social interaction and those have been extremely valuable. Some ways of comparing the two industries seem fine, but there are ways in which the tech industry might be better compared to something like the pharmaceutical industry—an industry where there is the potential for great benefit, the potential for great cost, and incentives that often lead actors in those industries to do things that seem wrong or unjust. But it's also an industry with a large number of people that aim to realize the benefits while minimizing the costs despite incentives to the contrary. With the emergence of more accessible virtual reality devices and the potential for even more immersive technology surely not out of reach, do you think there may come a time when it would be too late to turn back, so to speak? There are lots of technological dystopias that I think we'd all want to avoid. If we end up living much of our lives in social media or in virtual words, I think our lives will be worse for it. Part of living a good life is not just having enjoyable experiences but having authentic experiences—at least according to many of us that spend time thinking about what happiness really is. But I think there are much more imminent threats and that if we navigate those we'll be on our way to avoiding virtual dystopia. Take climate change for example: What would it mean to address the current climate crisis in an adequate way? It might require that we develop an appropriate respect for other living things and a proper relationship with our natural resources. In doing that, we might also develop the kinds of attitudes that will help us to avoid giving our lives up to a virtual world. I do think we'll have to think hard and make some tough choices about how we'll use technologies that enable immersive experiences and what those choices will mean for our way of life. Some of us will probably yearn for the good ol' days while others of us might very well welcome a life that is fully integrated with technology.